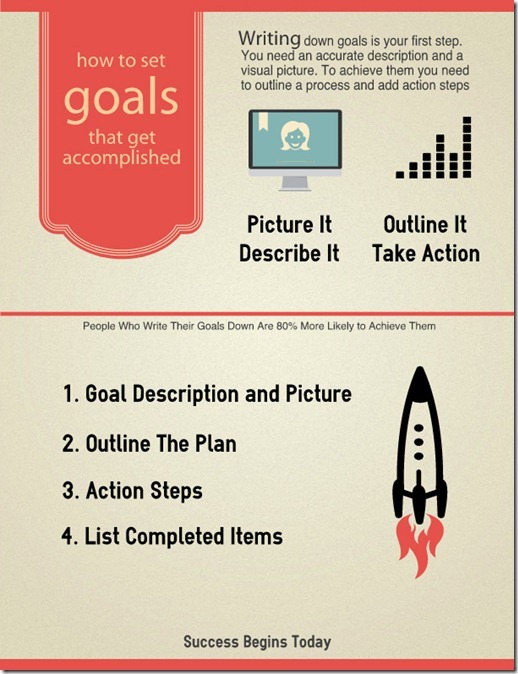 You can write down your awesome goals, picture them in your mind, and absolutely fail to reach them. I know, I’ve missed quite a few. Not that I didn’t have good intentions, mind you. I had Technicolor dreams, with great descriptions, and firm end dates. However, there was something missing. I didn’t have a clear path to success. The key is the process. If there is a clear step-by-step program to follow, I’m more likely to complete the goal. For example, back in 2004, when I first learned about direct goal setting, I was very successful following the Body for Life program. The secret was the daily attention to process. The book provided a daily plan already set up for me for each day of the 12 week blueprint. It was clearly delineated. There was no guess work to it. The secret is to outline the steps or milestones that it takes to reach the goal, and then plan out the Actions you’ll need to reach them. To motivate you to reach the finish line, filling in a completion checklist gives you a mental lift each time you complete an action step. So, if step by step is the way to go, how do we set goals that don’t have a support system in place? That’s where the Goal Process Sheet comes in. 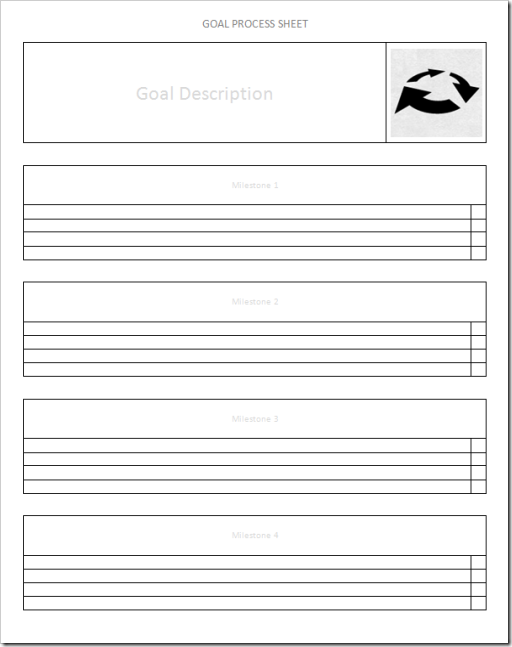 This simple one page guide has a place for your main goal with a description and an optional picture. You then fill in the major milestones, and add action steps under each one. You can add due dates, product lists, and location details. I put together a short step-by-step guide that shows how it works. 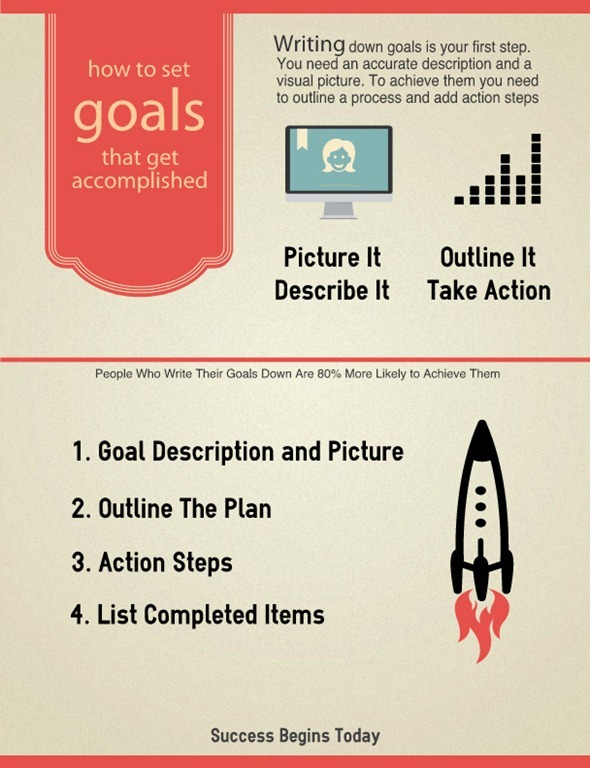 Check out How to Use the Goal Process Sheet by John Richardson on Snapguide. This process sheet is a great way to make your own step-by-step guide. Just outline, add action, and check off the results. If you want to know how to reach your goals in life, this is a great place to start. Question: What major goals do you want to reach?